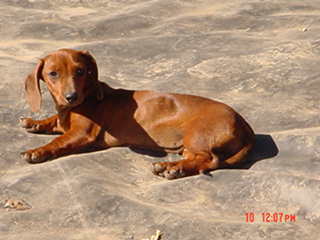 These dogs are NOT for sale unless noted in description! I ONLY BREED HAPPY, HEALTHY, SOUND ADULTS. Here's my females...some of them are sisters..some of them are mothers to the others! Can you tell who's who? 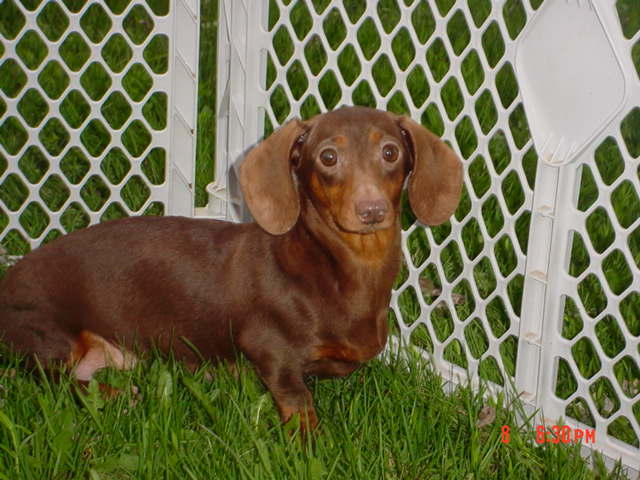 Click on their Picture to view thier Pedigree. I have some upcoming young ladies who's pictures will be added soon! 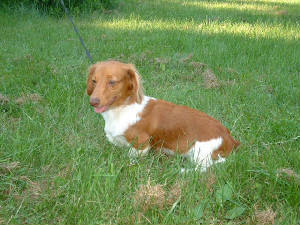 "Angel" Is a Red Dilute Longhair Piebald gal, she carries for chocolate. RETIRED! 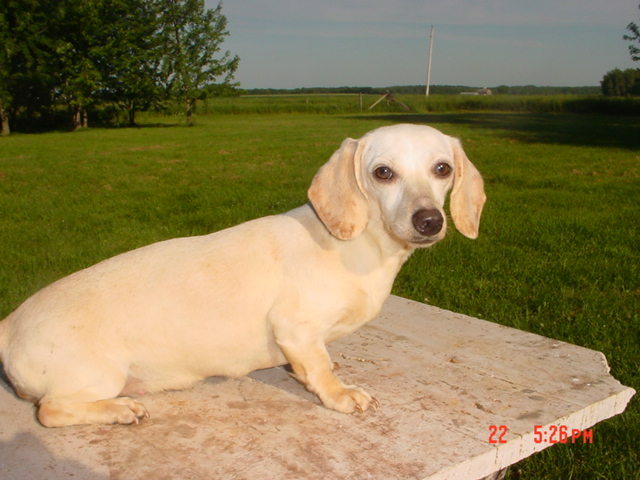 "Sugar" is a american cream dapple carrying piebald smooth hair. She is almost white with a buttery over tone. 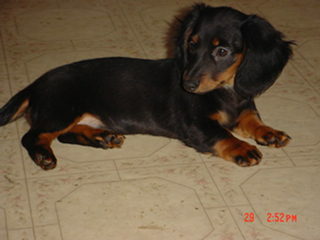 She is a very sweet doxie! 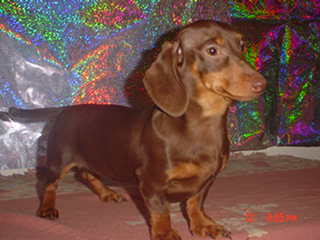 (Sugar is a "Hidden dapple" meaning, the dapple gene is present, but not really noticed). RETIRED! 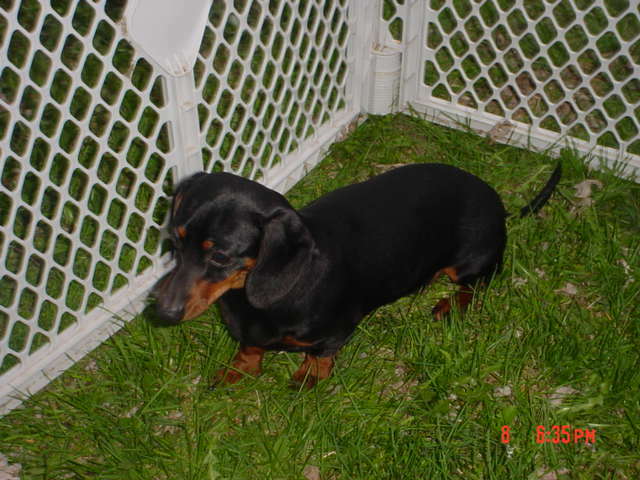 "KG'S LIL' MERCEDES MS" Mercedes is a 'Bubbles" X "Mouse"(see past sires page) daughter. She carries Blue, Issy, and Pie. 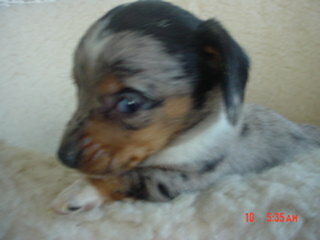 She has excellent conformation and a super sweet temprament. RETIRED! 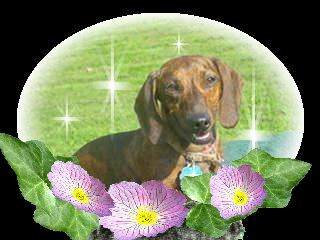 "KG'S LIL' LEXUS MS" Lexus and Mercedes are littermates out of "Bubbles" and "Mouse" They both have very nice conformation, and carry the genes for piebald, chocolate, blue and issy. Her personality is super sweet. RETIRED! 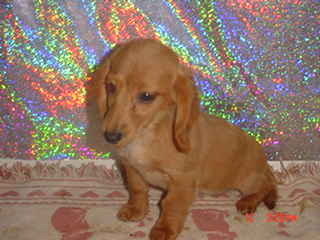 "Sam's Lil Red Flame MS" "Flame" is a sweet little red, she carries Piebald, blue, chocolate & issabella. RETIRED! 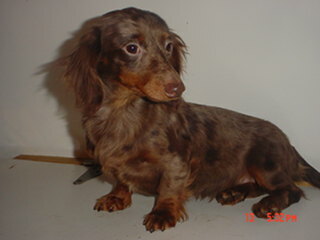 "KG's All that Glitters MSD""Sparkles" is a sweet lil' longhair Chocolate/Tan Dapple, her parents are "Mocha" and "Renagade", she carries a lot of colors. RETIRED! KG's Lil' Double Bubble Luv MS" "Chubby" is a very nice stocky little lady her parents are "Bubbles" and "Romeo"
'"Blondie" is a awsome little red longhair, her parents are "Sugar" and "Barron"
"KG'S Lil Midnight Raven ML" "Raven" is a stunning little black/tan longhair her parents are "Lexus" and "Echo" She has a blue/Tan longhaired sister. All contents, text, and photo's protected by LAW! e-mail with questions or comments.